Originally published in Theodore Roosevelt Medora Foundations 2015 summer newsletter. Biographer Larry Woiwode, received this answer in 1994, when asked about the beginning of the “Medora Musical.” Prior to 1965, the NDSU Theater Department and a local group had been putting on a historical drama, but crowds had dwindled to the point where the show was abandoned. 50 years later, more than three million visitors agree with Harold—they love being musically entertained under the stars in the Burning Hills Amphitheatre. The following “snapshot” of Harold Schafer is excerpted from an essay titled “Harold Schafer—from Legend to Legacy” written by Dr. Richard Harper, former director of the Theodore Roosevelt Badlands Institute, and Maurita Harper and Kim Hanson Becker. Harold Schafer was an innovative businessman, a marketing genius, a generous philanthropist, a dedicated Christian, an avid historian, a charismatic showman, and an unabashed patriot. He was considerate, playful, exuberant, chivalrous, and vigorous. He was known for his hard work, his self-motivation, and his honesty. He met problems head-on, and when he was knocked down by life, he got right back up. Everyone knew that Harold had big dreams. What’s more, he invited others to share in his dreams. And he made dreams come true . . .
Harold loved Sheila. She says of him that he was not only her Santa Claus, but her Romeo too. He also loved flowers, surprises, North Dakota, the Badlands—and a historic deteriorating little cow town named Medora. By 1965 he was deeply involved in its restoration. For the next 35 years Harold lavishly spent his time, energy and money on its revitalization. He was instrumental in getting the streets paved and the sewer and water systems installed. He had the Rough Riders Hotel and the Ferris Grocery Store rebuilt. 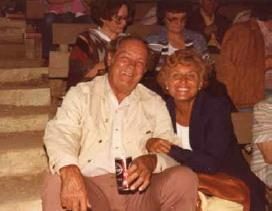 When he came up with the idea for the Medora Musical in the early years, he was so excited that he gave away tickets to assure there would be an audience. And then he hired buses to bring the people to town . . .
Harold was always ready to get involved and lend a hand. He would fry steaks, direct traffic, ride in parades, and troubleshoot theatrical lighting problems. From noisy, fireworks-filled 4th of July celebrations to his last quiet summer there, Harold delighted in Medora and its people . . .
Medora is certainly part of Harold Schafer’s legacy. He held the town in trust, he helped restore it, and he has passed it along to the people of North Dakota, the nation and the world. 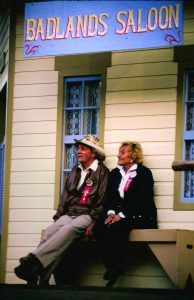 Because of Harold, Medora today fulfills its mission to present opportunities for visitors to relive, to be educated, and to be inspired by their patriotic heritage . . .
Harold’s example is another important part of his legacy. He proved that a major business can spring from, grow and prosper in North Dakota. He confirmed that honesty and hard work pay off. He showed that a rich man could retain the common touch. He demonstrated that giving matters . . .
Harold Schafer was a man of faith. From that foundation he loved life with all of its trials and triumphs, and he spread a joy of living. Feeling blessed himself, Harold blessed others with his special gifts of passion and optimism. At the end of his days, hospitalized and in pain, Harold still expressed with a smile in his eyes that he’d lived a wonderful life!